MBO Cinemas and St. Johns Malaysia Ambulance recently announced the launch of a nationwide blood donation campaign, which is set to take place in 23 (of 25) MBO locations around Malaysia, this September 27. At the same time, this campaign will be attempting to make it into the Malaysia Book of Records as the Biggest Nationwide Blood Donation Campaign by a Cinema Organization, by achieving 5000 blood donors in a single day. As we know. the National Blood Centre (NBC) and blood banks throughout the country are still facing shortage of blood donors, registering low number of turn-up among donors as the main reason. According to statistic, only 2.5% of Malaysians are blood donors, compared to international standards of 5% of a country’s population. MBO said that most blood donation drives are conducted at the same key venues around the nation, which results in us not being able to reach out to new potential donors. And with MBO Nationawide Blood Donation campaign that targets multiple locations and demographics they are confident that they will be able to reach their target of getting 5000 donors to participate. 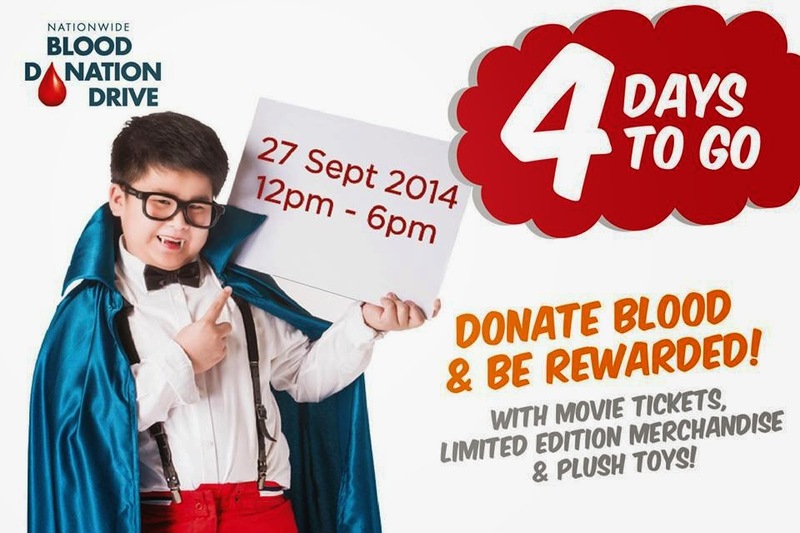 During the event day, MBO Cinemas will be giving out to each donor a free movie ticket & goodie bag with movie merchandises worth in total RM150,000 nationwide as a thank you token to donors for their support in replenishing the nation’s blood banks, as well as for being part of the Biggest National Blood Campaign by A Cinema Group. MBO Cinemas also donated RM 10,000 to the St. Johns Ambulance Malaysia, as a token of appreciation for their support and assistance in this nationwide blood campaign. Those who wish to be participate this blood donation campaign should generally weigh over 50kgs, are aged between 18 and 60, with general good health and have not been on antibiotics 1 week prior to the donation date.